Leading global manufacturer and distributor worldwide of crop protection. Contract farming and land management to farms. The latest UK and international news, comment and analysis on soft commodities, agriculture companies and farm investment. The cereals and oilseeds division of the Agriculture and Horticulture Development Board. Innovative crop protection technologies and biosolutions for sustainable farming. A comprehensive range of products for field and speciality crops, all delivering consistent quality and high yield. Vital training in the use of pesticides for crop production and protection. One of the world’s leading crop science companies providing innovative crop protection solutions from seed to harvest and beyond. Your partner in crop protection. CFE helps farming businesses, by signposting to best practice in soil management, crop nutrition and pesticide use. A nationwide group of agronomy specialists helping farmers to optimise yields and profitability whilst following best environmental practice. News and information for Agricultural retailers. Department for Environment, Food and Rural Affairs tasked with issues such as the environment, rural development, the countryside, wildlife, animal welfare and sustainable agriculture. Solutions to many of the most important seed, disease and insect problems faced by UK arable and grassland farmers. Developing the technology and products to improve sustainable agriculture for a growing world. Serving the whole farming industry with topical technical information from independent experts. Farming Online offers latest farming news, weather, prices, livestock farming, finance & broadband. Use farming UK directory to search agricultural company. A range of specialist products ensuring maximum activity from pesticides and crop nutrients. The latest UK weather forecasts from 48 hours to 300 hours ahead plus live data. Applying innovation and technology to help farmers both produce more and conserve more. 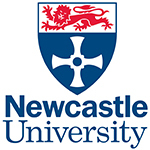 Newcastle University is a public research university located in Newcastle upon Tyne in the North-East of England. The National Farmers’ Union of England and Wales is the voice of British Farming. The grain markets from a different perspective. Central register of sprayer operators using Continuous Professional Development (CPD) as a means of ensuring on-going training. Leading suppliers of crop protection products for grassland, arable and horticultural crops. Nufarm also supply products for use in amenity situations by local authorities. The Potash Development Association, providing technical information and advice on soil fertility, plant nutrition and fertilizer use. Ensuring users of metaldehyde slug pellets adhere to best practice guidelines. The UK agency that deals with the use and approvals of pesticides. Deals with a whole range of matters relating to British potatoes including production issues and market reports. Maintains, develops and promotes the highest standards throughout the food and farming industries. Basic Payment Scheme, information about CAP Reform, Cattle Tracing System Online, Producing and distributing food, Cross compliance. The country’s largest nature conservation charity, inspiring everyone to give nature a home. A higher education institution that combines education, consulting and research in Scotland. It focuses on agriculture. The latest agricultural news and analysis. The UK’s leading forum for the discussion of topics directly relating to agriculture. A leading global producer of crop protection products, speciality chemicals and other industrial chemicals.